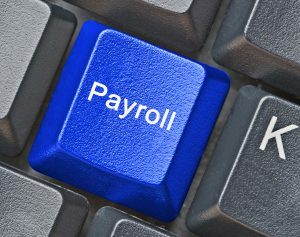 There are two kinds of payroll software you can use in your business – standard and certified. Certified Payroll Software is used when contractors are government funded and public work construction projects are being paid. A request for Certified Payroll Software may seem to be a problematic and confusing demand from any client. However, here is a short guide describing the basics of what you need to know. Certified Payroll Software: What is it? Certified payroll software is usually needed to maintain the payroll for workers of public work projects. In publicly funded projects, there is a requirement for contractors to pay their workers something that is called a prevailing wage. The contractors also have to make a proper payroll report which should show the exact wages that each worker was paid. Certified payroll software makes making such reports easy. A good example of a certified payroll software is QuickBooks Certified Payroll. Certified software works as a substitute for the WH-347 Federal Form. They will also work as a substitute to WH-348. WH-348 is the Statement of Compliance which is required after the submission of WH-347. Most of this information is already stored in a payroll software. This is the reason why it is easier to create a payroll report with a certified payroll software. After the creation of the report, it needs to be printed and signed to certify accuracy. This is known as Statement of Compliance. The completion of these steps marks the successful creation of a certified payroll report. There are certain misconceptions about reporting certified payroll including the fact that many believe they require a certification to become a payroll professional before being able to file a payroll report. However, that is not true. There is another misconception about the standards and filing procedures for certified payroll being the same across the entire United States. Regardless, you can use certified payroll software to be able to make and submit payroll reports easily. QuickBooks Certified Payroll and Intuit Online Payroll are the best options available for making Certified Payroll Reports. Intuit Online Payroll allows you to have all of the information relevant to creating a certified payroll report in one place. Intuit has a lot more to offer. Once you create the weekly payroll and time sheets, the software’s time tracking can be used to pay employees and workers. Once you need a report, you just need to go to the “Reports” menu and click on the “More Payroll Reports in Excel” option under “Employees and Payroll”. You’ll see a button labeled “Certified Payroll Report”. From there, onward, you have to follow the on-screen instructions to get your report. Basic: This the cheapest Intuit Online Payroll plan. You get the paycheck generation feature but do not get the payroll tax submission feature and you are unable to electronically file a W-2. This plan is priced at a base rate of $20 and $2 per employee every month. Enhanced: This plan is one of the most used. You get all of the features of the basic plan plus other features including electronic W-2 form and payroll tax forms submissions. Being the most popular plan of Intuit Online Payroll, it is priced at a base rate of $31.20 plus a per employee rate of $2. Full Service: This is one of the most innovative plans offered by Intuit. It provides an actual Intuit employee to handle your payroll related tasks. This plan also provides a guarantee against any kind of tax penalties which, if incurred, would be paid for by Intuit. The plan is priced at base rate of $79 plus a per employee rate of $2. Certified Payroll Solution- This is an add-on for QuickBooks. Construction Partner- This is a bookkeeping alternative to QuickBooks but it costs a hefty $6000 and is particularly meant for large construction firms.